Father Shannon T.L. (Shay) Kearns is a writer, speaker, and theologian from Minneapolis, Minnesota. He is the co-founder of Queer Theology, a collection of resources designed to uncover and celebrate the gifts that LGBTQ people bring to the Church and the world, and the ways in which Christianity has always been queer. He is also the founder of Uprising Theatre Company, a Minneapolis-based group that "really, truly believes that stories can change the world." Shay graduated from Union Theological Seminary in New York City with a master of divinity and is an ordained priest in the Old Catholic Church. 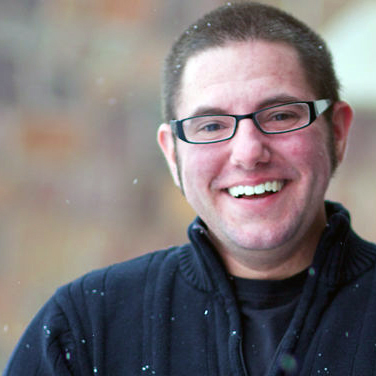 He is a sought-after speaker on queer theology, transgender issues, and the intersections of identity and faith. He’s been published in Geez Magazine, Lavender Magazine, Believe Out Loud and the Huffington Post, and featured in The Advocate and the Minneapolis Star Tribune. You can find him on Facebook, twitter, tumblr, instagram, and his website.